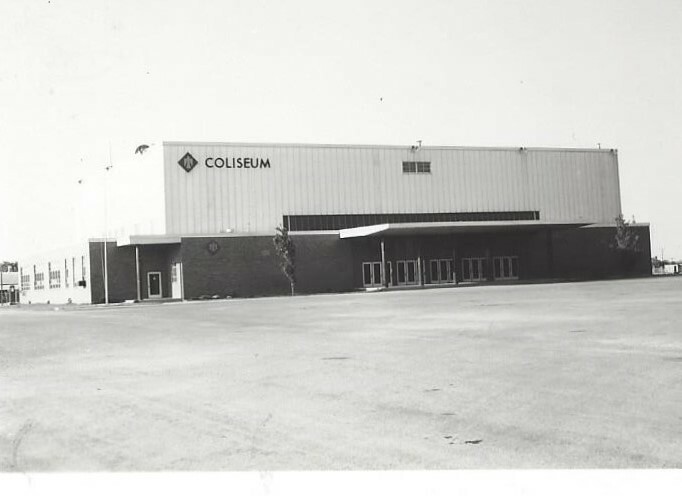 The Thunderbird Coliseum was built in 1954-1955. In 1975 the city paid tribute to Simmons by renaming it to Jenks Simmons Field House. James E. “Jenks” Simmons was born April 6, 1903 at Seminole, OK. Simmons played several sports, while in high school and college. J. E. “Jenks” Simmons coached El Reno sports for over 25 years and was one of Oklahoma’s best known athletes. Called the “Dean of Oklahoma Coaches”, Simmons coached at El Reno from 1929 to 1962, except for a seven-year term (1944 – 1940) as coach for the Northwester State University Rangers. He coached all sports, but achieved his greatest success in basketball. 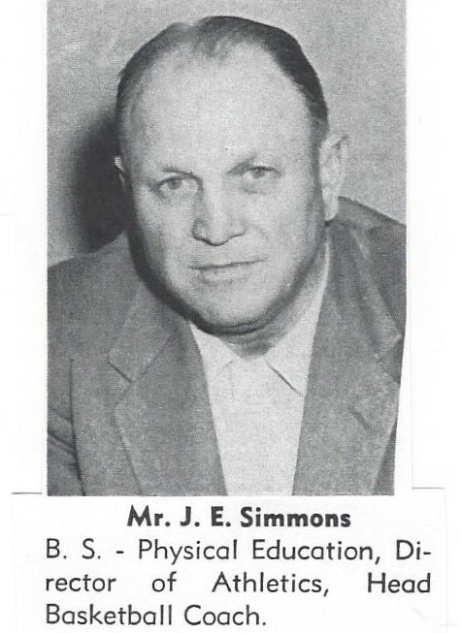 Simmons produced five state championship teams at El Reno and his 1949 squad was regarded by some authorities as the most powerful in Oklahoma history. Two of his championship teams were undefeated. After retiring as a coach, he remained El Reno High School Athletic Director until his final retirement in 1969. James E. “Jenks” Simmons died January 16, 1977 following a lengthy illness at age 72 years. He was interred in the El Reno Cemetery.